Pretty much every week there has been a new addition in the Xbox Live Game Room titles. Next week will continue the tradition with the iconic Pac-Man. 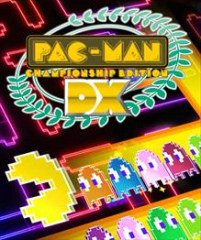 Pac-ManÂ Championship Edition Dx was released on the Xbox 360 and fared well so being that it’ll be on a mobile device I think it’s safe to assume that it will have a considerable amount of success. Pac-Man Championship Edition DX bolsters the beloved arcade formula by offering even more sophisticated mazes, modes, and enhancements. Building upon PAC-MAN Championship Editionâ€™s original six courses, the new game features more than 100 varied and mind-boggling mazes to navigate. Several new modes will also be available to test a player’s pellet-munching aptitude. In Time Attack Mode, players will vie for the quickest clear time. Fulfill a series of objectives in Mission Mode or compete to devour the most number of ghosts gobbled in Ghost Mode. Excited yet? Well, I enjoy Pac-Man games but there is a set back for this WP7 game, its’ price. Believe it or not this game is set be released at a price of $6.99! I don’t understand the logic behind that being that the console version is $10. The game sounds fun but I’d rather sit on it and wait until they come to their senses and lower the price.Â If you are still interested look for it in the Marketplace next Wednesday. Written by: WP7GIRL on May 12, 2011.